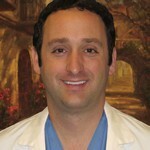 Dr. Chad Orlich was born in Houston, Texas. He obtained his bachelor's degree in Biological Sciences at The University of Washington in Seattle. While in Seattle, he helped organize the first nationally recognized pre-dental club for the university. He earned his doctorate in dental medicine from Nova Southeastern University in Fort Lauderdale, Florida. Dr. Orlich’s National Board scores placed him in the top 4% of all dentists and earned him a spot in one of the most sought after periodontal programs in the country. Dr. Orlich dedicated the next three years of his life studying periodontics and dental implants. He was trained by some of the countries best periodontist and dental implant experts. Dr. Orlich’s expertise and clinical skill earned him the position of chief resident. He also served as a clinical adjunct teacher for dental students at Nova Southeastern University, and he has performed multiple lectures and seminars for both graduate and post graduate dental students. After his specialty training in periodontics and advanced dental implant placement, Dr. Orlich , returned to Texas to practice in the Austin area. While not working, Dr. Orlich is an avid scuba diver and enjoys hiking, spending time outdoors, and listening to live music. Dr. David Burden graduated from the University of Texas Health Science Center in San Antonio. He completed his undergraduate studies at Texas A&M University in 2001, where he received a B.S. in Genetics. Additionally, Dr. Burden also completed a one-year advanced education in general dentistry residency at UTHSCSA, where he received training in Intravenous Conscious Sedation, complicated oral surgery procedures, and implant dentistry procedures. Dr. Burden is a member of the Texas Dental Association, the American Dental Association, and the local District Dental Society. 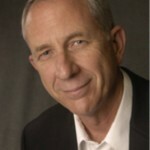 Dr. Hansen is a native of southern California, receiving his Bachelor’s degree from UCLA in 1976. He attended USC Dental School on a full scholarship from the Air Force, receiving his DDS in 1980. After practicing general dentistry for the Air Force for 11 years, Dr. Hansen received his Certificate of Endodontic training from Wilford Hall Medical Center, San Antonio, in 1991. In his remaining time with the Air Force, he taught endodontics in an advanced training program for general dentists, and ultimately became Chairman of the Endodontic Dept. at Wilford Hall Medical Center, the Air Force’s premier medical and dental training center. He also held the positions of Program Director for the graduate Endodontic Residency program, Special Consultant to the Surgeon General in Endodontics, and a clinical asst. Professor faculty position at the Univ. of Texas Health Science Center in San Antonio. After retirement from the Air Force, Dr. Hansen was in private practice in the San Francisco Bay Area for five years, serving on the board of directors of the Alameda Dental Society. Since moving to Austin in 2007, Dr. Hansen has been practicing clinical endodontics full time. He is Board Certified by the American Board of Endodontics.